Erdogan is undertaking a four-nation African tour to ramp up Turkey's growing influence throughout the continent, where it is heavily involved in energy and construction. 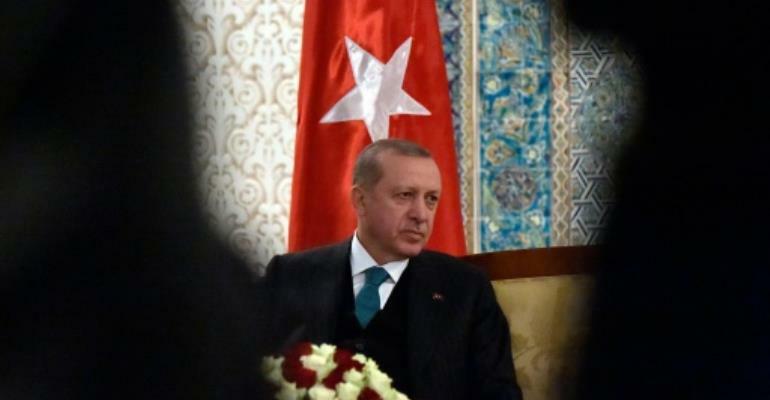 The Turkish leader, who arrived from Algeria, was met at the airport by Mauritanian President Mohamed Ould Abdel Aziz and was expected to seal the accords at the West African leader's palace before the two men dine together. He will leave this evening for Senegal, Mauritania's more liberal and more populous neighbour, before heading to Mali on Friday. An infrequent visitor to Europe as ties with the West strained, Erdogan has made repeated visits to Africa since becoming president in 2014. Turkey currently has 41 embassies in Africa, up from 12 in 2009, and wants to eventually have top-level representation in all 54 nations on the continent, according to state media. Aside from bolstering trade and political ties, a major priority for Erdogan has been to stamp out the influence of a network run by Fethullah Gulen, the preacher exiled in the US whom Ankara blames for a failed coup in 2016. Gulen ran a network of schools on the continent, including in Nouakchott, which were closed on the orders of the Turkish state 18 months ago. A Turkish government-run school has since opened in the Mauritanian capital.